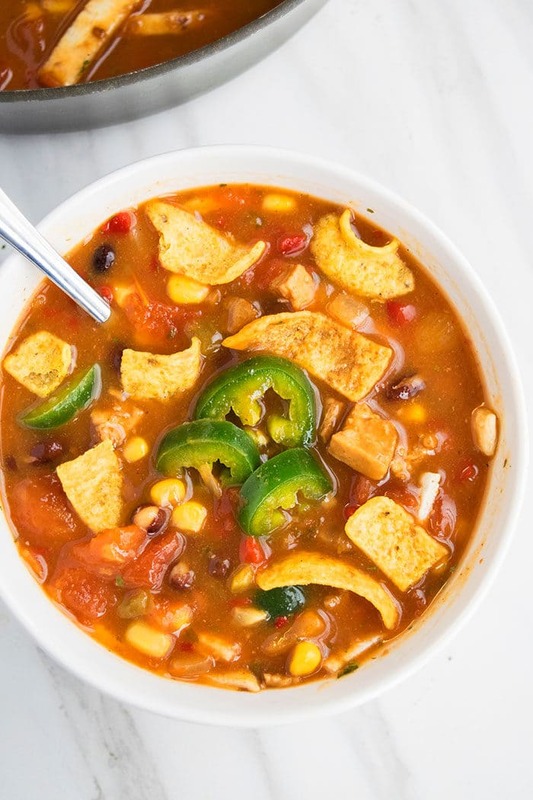 Quick and easy chicken tortilla soup recipe, made with simple ingredients in one pot over stovetop. A 30 minute meal, loaded with Mexican spices, beans, tomatoes, corn and chicken. I love this healthy soup, just as much as some of these other Mexican favorites: Mexican Shredded Chicken (One Pot) and Tomato Avocado Salad (One Bowl). 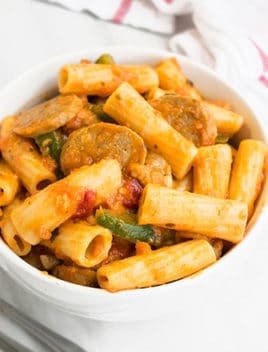 It’s hearty, delicious comfort food, that’s perfect for the cold Winter season. The tortilla chips add a wonderful crunch that my family is crazy about! Now, this is not an authentic recipe because it has been given an “American” makeover but it still tastes fantastic! 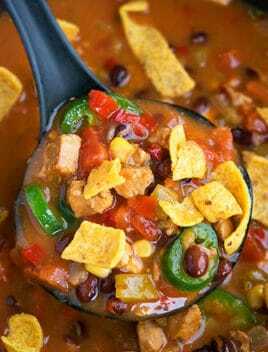 How to make easy chicken tortilla soup from scratch? Saute onions, garlic and jalapenos. Add broth, tomatoes, beans, corn, chicken, chili powder, paprika, cayenne pepper, cumin powder, salt, pepper, lemon juice. Mix and let it simmer. Garnish with cilantro and any toppings you like. 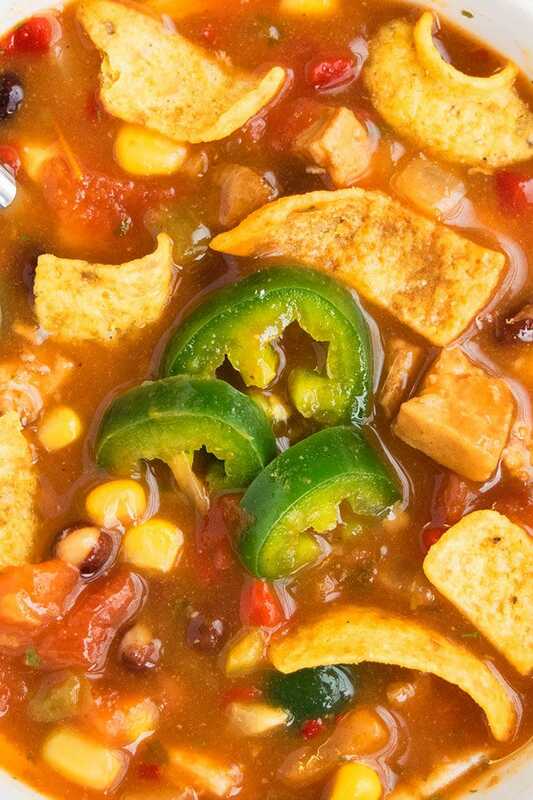 What sides to serve with best chicken tortilla soup? I enjoy it as is, without any sides. However, for the rest of my family, I have served it with many different sides and the ones below were their favorites. Salad– keep it a very simple green salad without any strong dressings or vinaigrettes because the soup already has very strong flavors. Coleslaw– Once again, keep any dressings very light and simple. Cheese quesadillas– Kids love this side. Use a Mexican cheese blend. It’s similar to enjoying tomato soup with grilled cheese sandwiches. Jalapeno cornbread– Make it from scratch or just use a cornbread mix box and mix in 1 finely chopped jalapeno. Mexican rice– Typically, that would be cilantro lime rice. Go light on the seasonings though. How to thicken homemade chicken chicken tortilla soup? Add a dissolved mixture of cornstarch or flour. 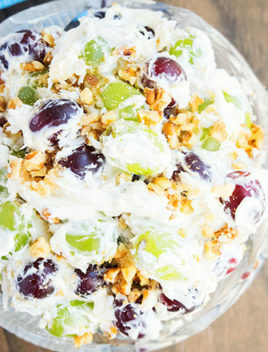 You can get as creative as you like with your toppings and add as many or as few, as you like. The classic choice is obviously tortilla chips, as the name of this recipe, suggests. Shredded cheese– Cheddar or Mexican cheese blend are awesome! 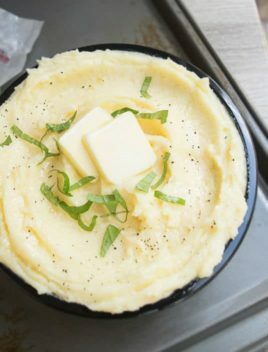 Sour cream– Use full fat for maximum flavor. Jalapeno slices– For a spicy kick. Avocado– You an dice them into small pieces or slice them. Finely chopped onions- Red onions taste the best. Tortilla chips– To add a little crunch. Guacamole– You can buy it or make it at home. It also makes the soup very creamy. Adjust the amount of spices– This can be done, based on your preference. Be sure to check the flavors near the end and adjust accordingly. If you want it more spicy, add more chili powder e.t.c. Use low sodium broth– This prevents the soup from becoming too salty. 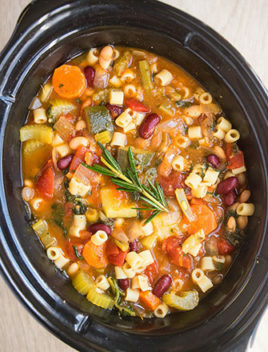 Drain and rise black beans– This prevents the soup from getting a hideous brown tinge. Thickening the soup– Cook uncovered over medium heat until liquid is reduced to your desired consistency. This is not supposed to be a super thick and creamy soup. Use rotisserie chicken or leftover baked/ grilled chicken– Shred it or cut it into cubes. It’s saves a lot of time. Freezing soup– Once the soup fully cools down, freeze it in an air-tight freezer container for up to 1 month. Using uncooked chicken– If you are not using pre-cooked chicken, then saute 1.5 pounds of small boneless chicken breast cubes in some oil until golden brown and then mix in all the other ingredients. Use nonstick pot or pan- That’s because this prevents sticking and burning. 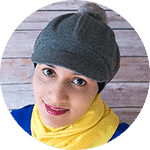 Lemon juice vs. lime juice– Lime juice tastes the best but not everyone has that in their pantry and it can easily be replaced with lemon juice. Make this soup creamy– Do this by mixing in 1/2 cup cream cheese near the end and cook/ mix until it dissolves. Make it vegetarian– Use vegetable broth and stir-fried tofu instead of chicken. 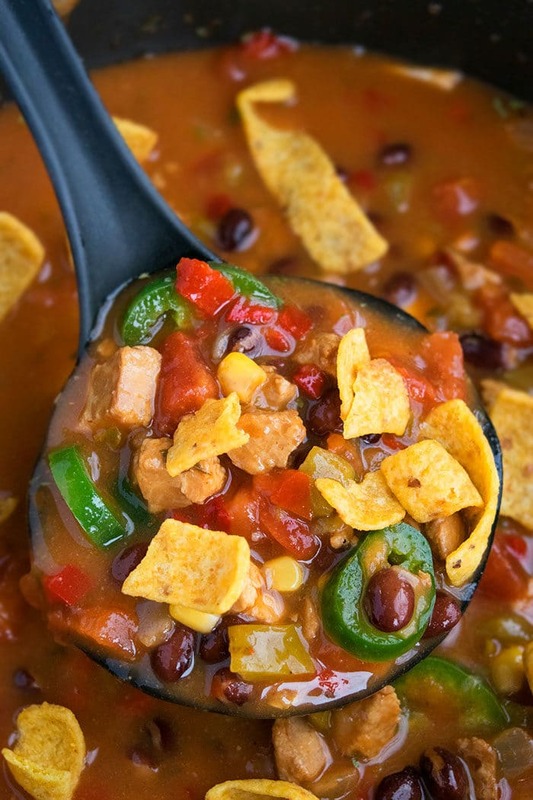 Quick and easy chicken tortilla soup recipe, made with simple ingredients in one pot on stovetop. A 30 minute meal with Mexican spices, beans, corn, chicken. Heat oil in a large nonstick pot over medium high heat. Add onion, garlic, jalapenos and saute until fragrant. Let it simmer uncovered for about 10 minutes. During this time, if the soup starts to look too thick, add water (based on your preference) and continue to let it cook. Turn off heat and top off with cilantro. Serve in bowls and top off with tortilla chips and any other toppings of your choice. Enjoy!